The Nigerian Vanguard newspapers published a report on Sunday, "Small Pay, Lavish Lifestyle", bound to attract readers' attention, but which nonetheless will make readers to begin to search for more information to make necessary connections and judgement about why government officials will be given so much money for vehicle allowance. 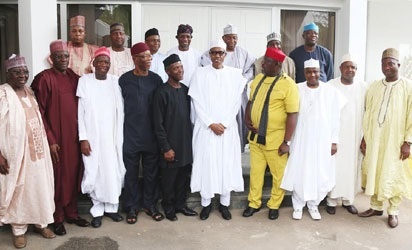 The import of the report may have been to demonstrate Nigerian governors' lavish lifestyle, but lavish lifestyle being what is already associated with the Nigerian big men, which the young people are imitating and one of the factors which has made the war against corruption almost impossible to win by governments in the country, the report will lack desirable impact on readers. However, the report achieved one thing: it exposed not only the governors' unreasonable renumeration, but that of the entire government officials in the country. Again, when the breakdown in renumeration to all the government officials is curiously studied, it becomes clear that vehicle allowances alone is more than the salary and the annual allowance put together. For example, a giver one earns N2,223,705.00 (11,345.433) per annum; the annual allowance stands at N223,390.00 ($1139.00) and vehicle allowance at $8,894,820.00 ($45,381.734). The governors may not have forced the renumeration, which may have been approved by the duly elected representatives of the people. And the first question that the vehicle allowance not only to the governors, but all cadres of senior government officials will arouse is whether the governors and other senior government officials, especially elected officials don't have official vehicles fueled and maintained by government? If the reporter, Emah Ujah, writer of the article in the Vanguard has taken his time, do more investigation to find out whether or not these officials have official vehicles fueled and maintained by government, the report would have had more power in seeking for accountability. If these government officials have vehicles fueled and maintained by government at the peoples' expense, the vehicle allowance becomes a travesty for so much money to be given to the officials as loans uncertain whether it will be paid back or not. As a reader, I cannot make any connection from the news report whether or not the loans for vehicle allowance as it is called are paid back by officials or not, since it is called loan for vehicles and maintenance. The renumeration published in the Vanguard Newspaper's report will not leave the peoples' elected representatives from scrutiny. How would they have managed to approve such ludicrous vehicle loan allowance to the officials? The answer is because they too are benefitting from the approval of the vehicle loans. It is one of the reasons that that has made being an elected representative like a goldmine in Nigeria and people are becoming politicians, and many of them even have no plan to represent anyone but themselves. It is a path taken by successive governments and politicians in Nigeria. It is still uncertain whether or not the current government will make a difference. But can the presidency change the tone of politicians making life easier for themselves and abandoning the people who elected them into office.? In one of my analysis on Nigeria, I have written that whatever change the presidency will effect will depend on the peoples' elected representative, especially in a democratic government. And it is why I think the people should be asking for programs that will make life easier for them from the politicians before giving their vote to anyone. Ujah can help the Nigerian people to know whether or not these car allowances are paid back or not. If the allowances are found to have remained unpaid by beneficiaries, those concerned should be made to face the consequences of failure to pay back a loan duly granted and taken with a promise to pay back.